How Should You Take Care of Older Trees? Older trees offer a special kind of beauty but they do require some specialized maintenance as well. We all know what a difference trees make to your landscape. Along with being beautiful they provide shade and help clean the air around your home, making them an important part of any yard. But all too often homeowners neglect to care for their fully grown trees. 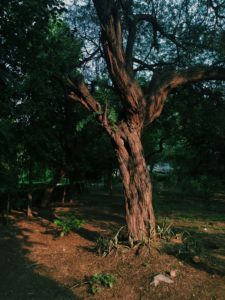 Once they’ve reached a certain level of maturity, most trees do need less care than they do as saplings, but they do still have significant needs. Every living thing requires water to survive, this includes older trees. As trees grow their root systems deepen, allowing them to tap into underground water sources and making them better able to withstand water shortages and droughts. That said, they still may benefit if not thrive, from the help of some extra watering. To know for sure how much or how frequently to water your older trees you may want to consult a specialist. In the meantime, make sure not to skip over your trees when you’re next watering your landscape. While pruning trees can be tricky, it’s essential for ensuring that your tree is growing healthy, happy and without any dead or diseased sections. With older trees, pruning can be particularly tricky because of the increased height. To this end hiring professionals, like Harford Tree, is a great way to go. If you do decide to prune your tree yourself, make sure to read up on what is best for each variety, so that you do not accidentally cut too much or too little. Older trees might be more durable than their younger companions, but that doesn’t mean they are safe from danger. The quickest way to hurt you tree might happen entirely by accident. If you knick the bark with a weed whacker or run over exposed roots with a lawn mower set too low, you can be causing long-term damage. Anything that affects your tree’s bark can cause serious injury. If you still have more questions regarding tree diseases, we here at Harford Tree are here to help. 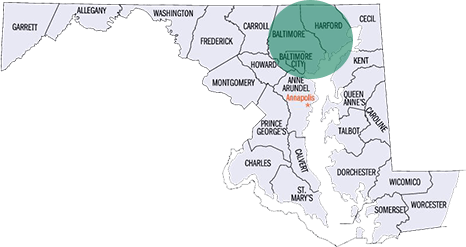 We service Harford County, Baltimore County, and Baltimore City. Give us a call at 410-592-7321 or in an emergency at 443-250-6649. Be sure to follow us on social media on Facebook, Twitter and Google+to see what we are up to. This entry was posted on Friday, August 24th, 2018 at 2:47 pm. Both comments and pings are currently closed.